The siding around your home offers the best of both worlds by providing outside protection and a professional, clean look that makes your home stand out. If you maintain the siding in your home, it will retain its beautiful finish for many years. 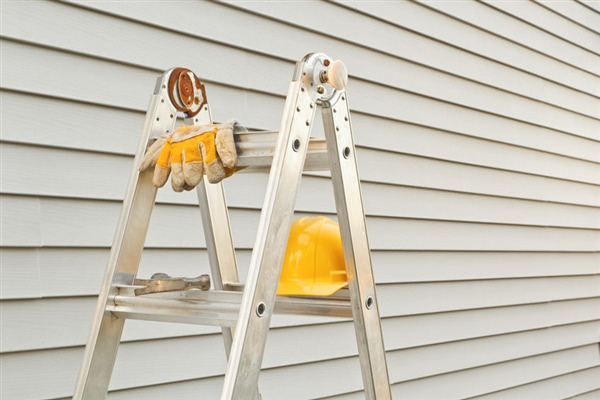 Below are some tips for keeping your siding looking new and in good condition. If you have any further questions, please contact Intelligent Design at 763-315-0745. Once we install your new siding, we recommend scheduling an inspection at least once every two years (if not annually). You may also want to schedule an inspection immediately after a severe storm such as a hailstorm, tornado, or ice storm. An Intelligent Design contractor can assess your siding and all related components to determine if there is any damage or worn out parts that we may need to replace. A quick inspection can go a long way in staving costly repairs. There are all sorts of DIY cleaning products and techniques out there for cleaning your siding. While you may see results from a DIY cleaning, we recommend investing in your siding by hiring a professional cleaning service. Professionals can restore your natural siding look without damaging it. Cleaning companies have the right equipment, cleaning agents, and skill to clean the siding carefully and efficiently. One of the most destructive elements on or in a house is mold. Once mold develops on the inside or outside of the siding, it will quickly multiply and cause deterioration in the material over time. Mold is easy to kill. You can also prevent it from it growing. Sadly, however, you may not notice any problems until the mold has developed significantly behind the siding due to stored moisture. The most common area for mold to grow is on the side of the house that receives little to no sunlight. Check the entire side of the wall and up underneath the roof. All small maintenance issues turn into costly problems. This is as true for siding as it is any other material in your home. Therefore, if you want to prevent small tears, chips, or cracks in your siding from turning into substantial, costly repairs, then contact an Intelligent Design contractor to come out and look at the problem. In most cases, we can patch up any problems and fully restore the siding surface. You won’t be able to tell the difference between the repair and the rest of the surface. You may also want to handle replacements in the same way. If you do not replace a heavily damaged or missing piece of siding on the outside of the wall, rain, heat, humidity, sunlight, and all other elements will erode the surface behind the siding. Since the purpose of siding is to protect the inner layers, you need to address a replacement right away. Doing so will save you hundreds of dollars in structural damage down the road. An Intelligent Design contractor can provide the same type of siding you currently have your home to maintain continuity across the surface. To schedule a consultation with an Intelligent Design contractor, call us at 763-315-0745. You can also message us on our contact page.